Mineral ash from the Eyjafjallajökull volcano. 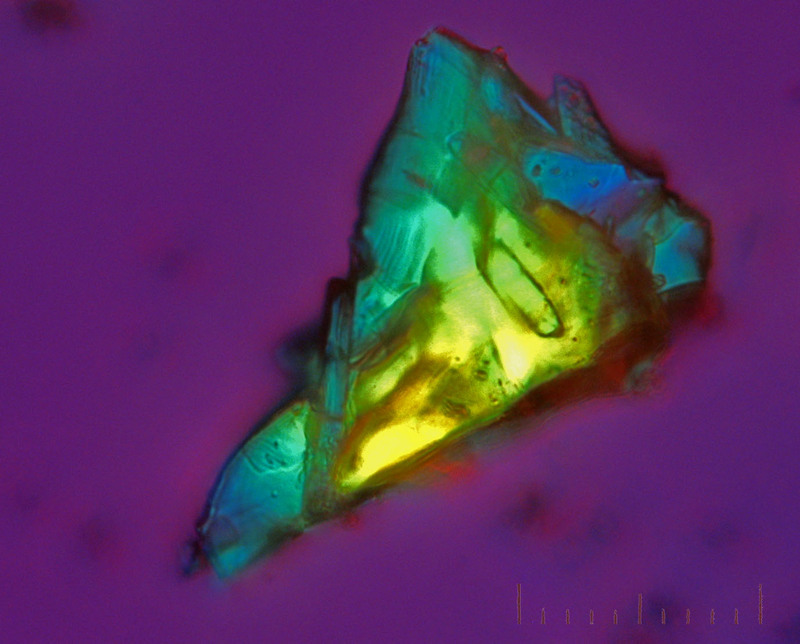 This crystalline shard of mineral dust fell on Sweden on 15th-16th April 2010 as seen through a Zeiss polarizing microscope. The colour is due to birefringence typical of crystals rather than glass. This particle was removed from a larger ash particle about 1mm in size. The same particle was "glued" together with much smaller particles and was accompanied by particles of glass. A dense cloud of 1mm particles each made of shards like this can do serious damage to a jet engine. The graduated scale shown is 50 microns. 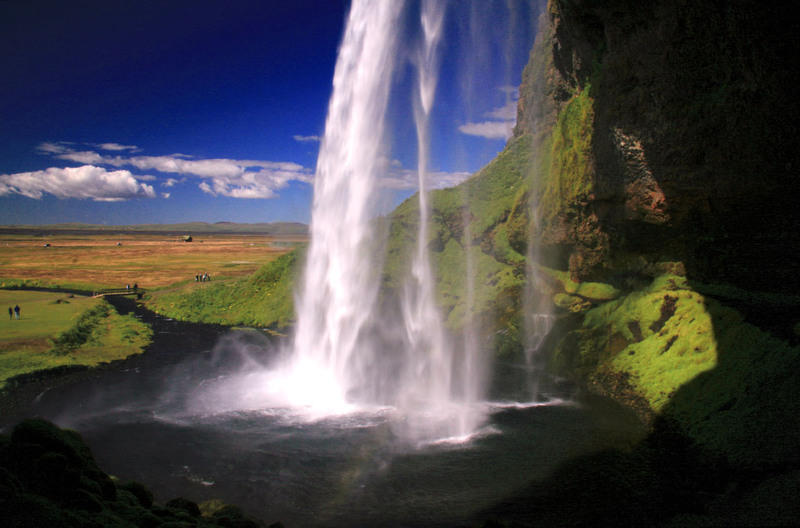 Seljalandsfoss waterfall Iceland. 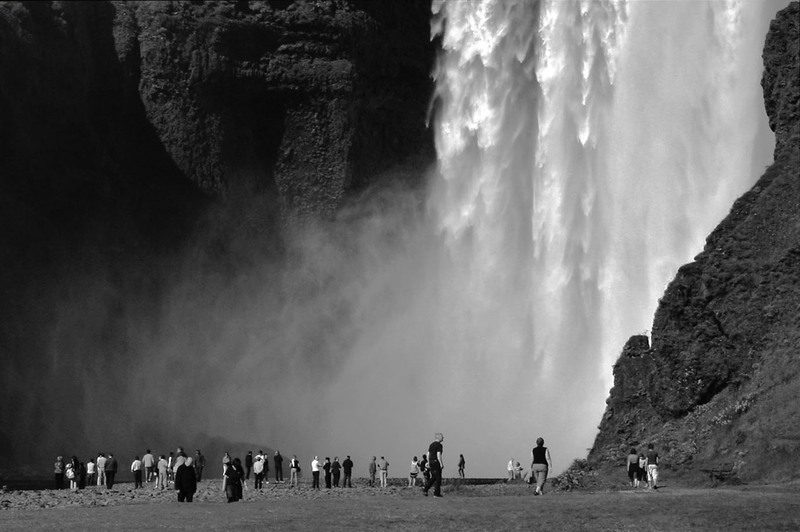 Draining off the western edge of the slopes leading to the Eyjafjallajökull glacier, site of Iceland's current volcanic eruption. 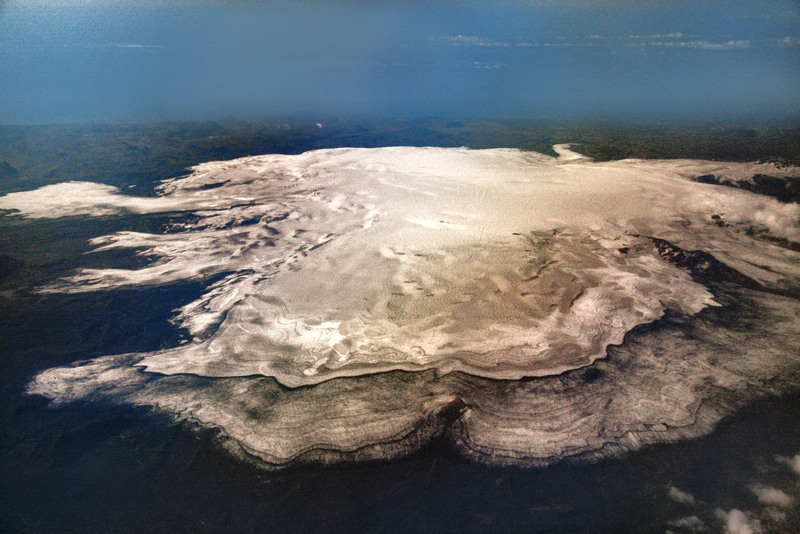 Mýrdalsjökull glacier and Katla volcano, Iceland. Katla is a volcano next to the currently erupting Eyjafjallajokull volcano a few kilometers away. 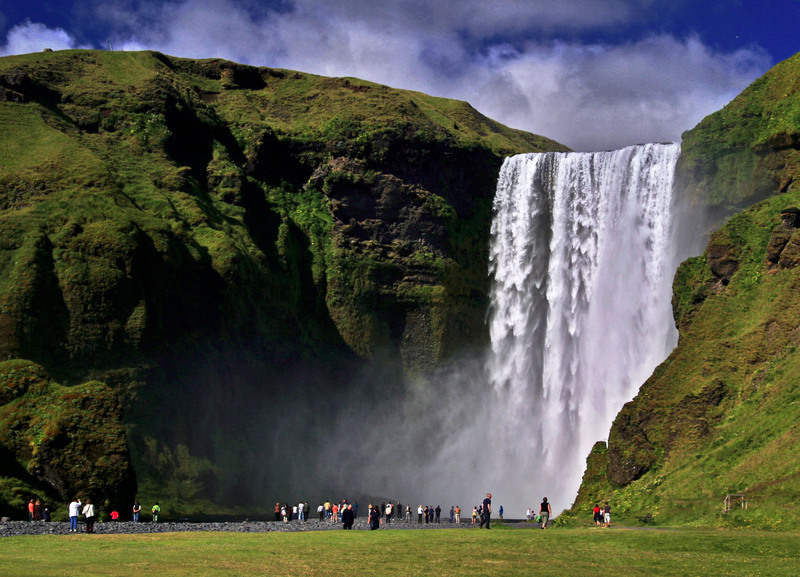 Some are concerned that Katla volcano may erupt next.